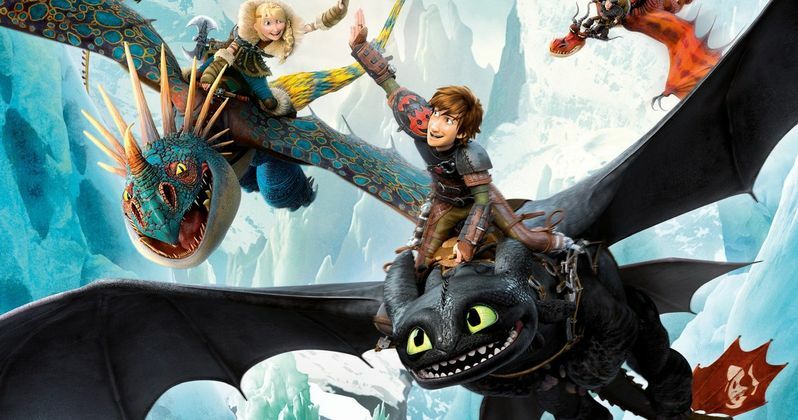 The first official details for How to Train Your Dragon 3 have arrived. Universal and DreamWorks have revealed the official title and a first synopsis for the highly-anticipated animated sequel. The next installment in the franchise will be titled How to Train Your Dragon: The Hidden World. DreamWorks will unveil a sneak peek at the movie at this year's Annecy International Animation Film Festival, so there is much more to learn on the horizon. Marcel Jean, artistic director of the Annecy Film Festival, had this to say in a statement. "As well as being a major artist, Dean DeBlois is a longtime friend of Annecy. We are excited to welcome him this year and present his work in a context that will emphasize his great talent. 'The How to Train Your Dragon' franchise is closely linked to our festival and this is why we are eager to offer our audience the chance to preview footage from the film." Dean DeBlois has directed the previous two How to Train Your Dragon movies, which have been massive hits for DreamWorks Animation. How to Train Your Dragon and How to Train Your Dragon 2 made a combined $1.1 billion at the box office. How to Train Your Dragon: The Hidden World is being billed as a culmination for the series and will see Hiccup and his faithful dragon Toothless coming up against some hard times, according to the official synopsis, which reads as follows. "As Hiccup fulfills his dream of creating a peaceful dragon utopia, Toothless' discovery of an untamed, elusive mate draws the Night Fury away. When danger mounts at home and Hiccup's reign as village chief is tested, both dragon and rider must make impossible decisions to save their kind." Confirmed cast members for How to Train Your Dragon 3 include Jay Baruchel, Cate Blanchett, Gerard Butler, and Craig Ferguson. Gerard Butler plays Hiccup's father Stoic and his inclusion in the third movie comes as a bit of a surprise. Spoilers for those who haven't seen the second movie in the series, but his character died. So how exactly he's going to be included remains a mystery, but perhaps that will be revealed at the Annecy International Animation Film Festival. Or maybe the creative team will want to keep that a mystery until the movie hits theaters. Originally, the sequel was supposed to arrive in theaters on March 18 of this year, but now DreamWorks and Universal will release How to Train Your Dragon: The Hidden World on March 1, 2019. DreamWorks' presentation for the movie at Annecy will take place on June 14 in the festival's main venue, the Bonlieu Theater. Perhaps around that time we should expect to see a teaser trailer? How to Train Your Dragon 2 was released in 2014, so by the time this new movie comes out, it will have been five years of waiting. The good news is, the sequel is finally coming our way. This news comes to us courtesy of Variety.